In August, 2015 Integrated Optics has finished implementing a two-year project called "The Setting up of an Integrated Optoelectronics Laboratory" which has been supported by European Cohesion Fund and implemented under the measure "Intellect LT+" - support means of the Operational Programme for Economy Growth 2007-2013, the aim of which is to increase investment into R&D in the private sector. The total budget allocated for this project was more than 250 thousand euros, of which Integrated Optics contributed approximately 30 percent. Integrated Optics is a developer and manufacturer of innovative laser sources that require integrated optoelectronics solutions. The main purpose of the project has been to expand the company's R&D base by setting up integrated optoelectronics laboratory. We are proud to tell that the company has implemented the project very successfully and the outcome will provide much more speed and depth to the R&D activities we are involved into. The production ofintegrated optics prototypes requires clean-room environment, therefore company’s R&D base has been expanded by setting up more than 60 sq. m. of new clean-room grade laboratories for optics, electronics, as well as 40 sq. m. space for mechanics prototyping. Furthermore, a part of the laboratory equipment acquired through the project is used for research on laser applications in life sciences and material processing. The expanded R&D base contributes to development and improvement of three main product groups: the series of low power CW "MatchBox" lasers that feature low output power and variety of wavelengths, a low jitter ultrafast pulse laser with the code name "BlackBox" and its modifications. 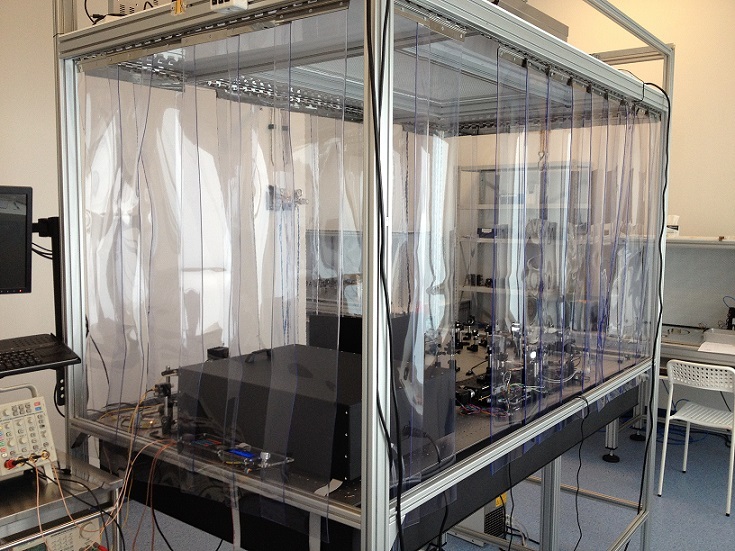 The development of the "BlackBox" laser was also supported by the European Cohesion Fund in another project under the measure "Intellect LT", performed in parallel. These two projects have significantly contributed to the company’s competitiveness. Prototypes developed in the newly established laboratory spaces are going to be commercialized by selling produced lasers and licensing related intellectual property rights.